Acknowledged author wrote FINANCIAL ACCOUNTING FOR MBAS 7 comprising pages back in 2017. Textbook and etextbook are published under ISBN 1618532316 and 9781618532312. 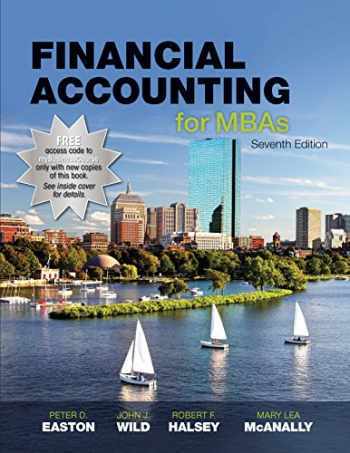 Since then FINANCIAL ACCOUNTING FOR MBAS 7 textbook received total rating of 4 stars and was available to sell back to BooksRun online for the top buyback price of $94.75 or rent at the marketplace. This is an Instructor Edition. It is exactly the same as the student edition with the same page numbers and all. Only difference is few answers included in the back. Book is in like new condition and I will ship it quickly!